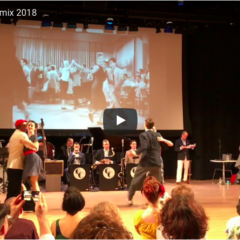 Excerpt from the Rhythm Stompers’ performance at Swing Remix. song: Rip it Up by Bill Haley. 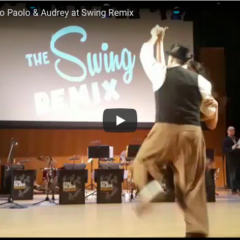 This is a mix of Waltz, Hustle & Salsa performed by one of our favorite dancers Manuel. Highlights from our Charleston showcase performed at the Manhattan Penthouse back in January of 2018. 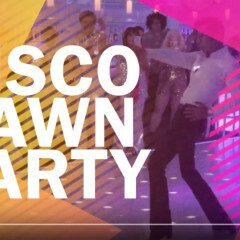 Dance team and showcase produced by JumpinEntertainment.com Dancers include Lewi, Abril, Nina & Paolo. 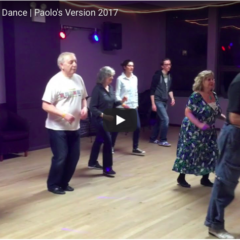 Choreography by Paolo Pasta Lanna.